MIYAZAKI, Japan -- The stage is set for the semifinals of the ENEOS Presents VI Women's Baseball World Cup -- the world's premier global platform for elite female baseball players. The 2014 Women's Baseball World Cup is backed by Japan's largest oil company, Tokyo-based JX Nippon Oil & Energy Corp, whose "ENEOS" brand has several successful partnerships across motor sports, including high-profile sponsorships for Formula One and NASCAR racing teams. 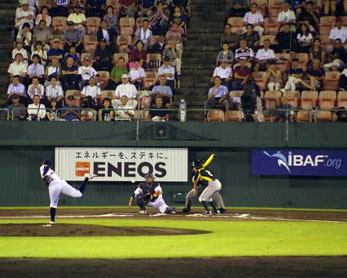 After an initial round-robin and opening ceremony that began on Monday in front of a record 14,500 spectators at Sun Marine Stadium, teams from Australia, Canada, three-time defending champions Japan and the United States have earned their places in the Final Four of the women's world baseball championship. The finalists of the ENEOS Presents VI Women's Baseball World Cup -- which will be representing the Americas, Asia and Oceania -- come from the four top ranked women's baseball programmes in the world, among the World Baseball Softball Confederation's 141 national governing bodies. 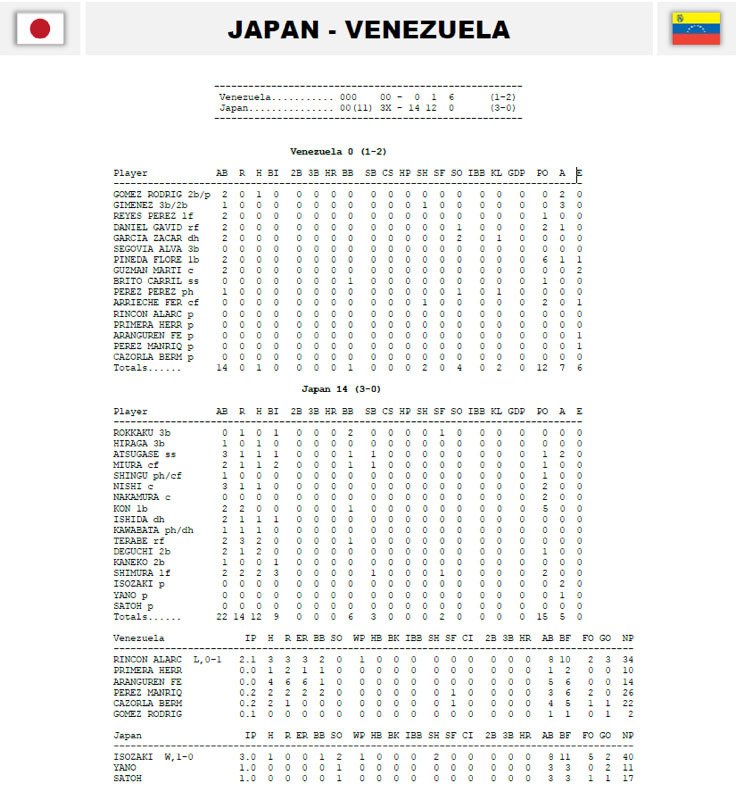 The performance of the Japanese team, currently ranked No. 1, has generated much interest, and strong broadcast viewing figures and sponsor support in Japan, where baseball and softball are the most popular national sports in the host nation of the 2020 Olympic Games, building further support for the bat-and-ball sports to be included at the Tokyo 2020 Olympic Games, pending discussions on the Olympic sports selection process due to take place in December at the IOC special session in Monaco. The USA is ranked No. 2 and both Australia and Canada are tied at No. 3, according to the WBSC-recognised IBAF World Rankings. 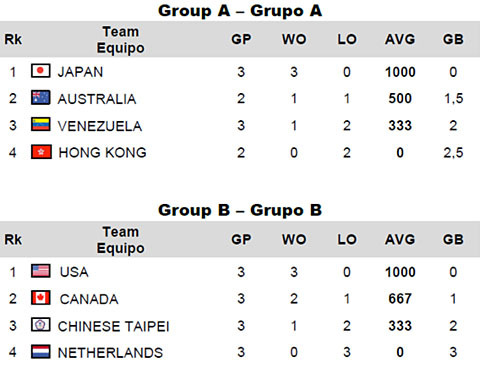 Japan finished atop Group A, defeating fellow competitors Australia, No 5 Venezuela and No. 13 Hong Kong before nationally televised audiences on TV Asahi and global audiences via AYM Sports' webcast at internetv.tv. The Japanese National Team has outscored opponents 47-0, pushing "Madonna Japan's" winning streak to ten games, dating back to the 2012 Women's Baseball World Cup. Australia bounced back from an opening-day loss to Japan by narrowly beating Venezuela, 4-3, and then convincingly handling Hong Kong today, 29-1, which issued the "Emeralds" a ticket to the Final Four. Canada used a no-hitter against No. 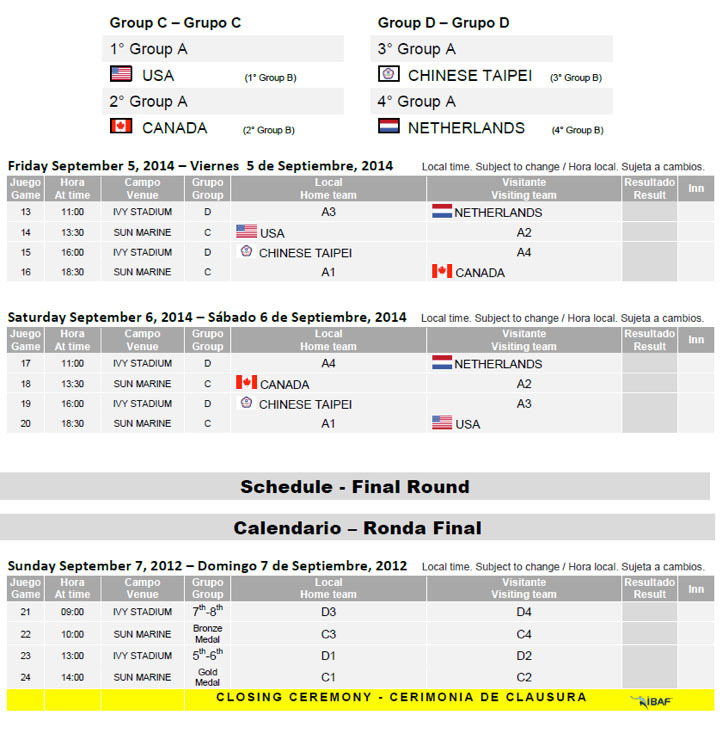 9 Netherlands on Monday and a 9-8 extra-inning victory over No. 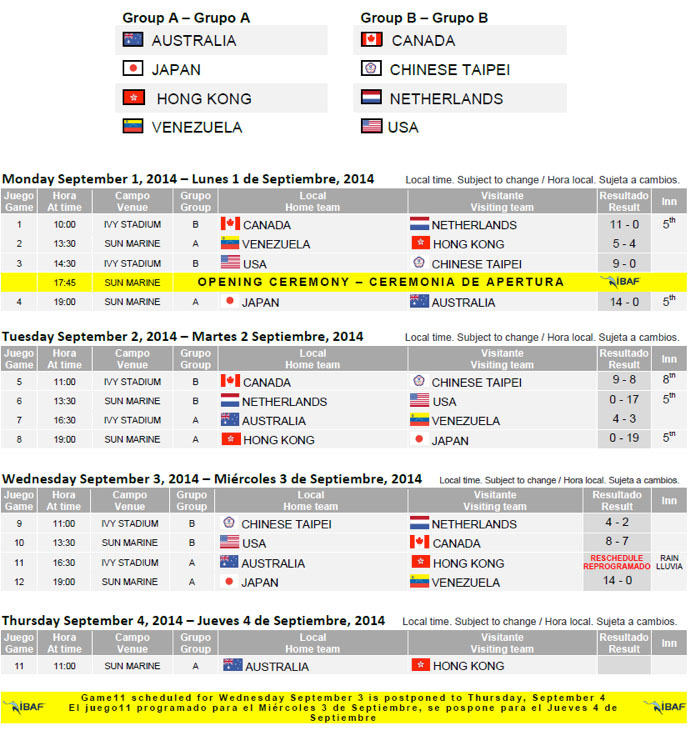 6 Chinese Taipei on Tuesday to keep the 2012 bronze medalists in the hunt for their first-ever gold medal. Leigh Godfrey -- who competed on Australia’s bronze-winning women’s national softball team at one of the biggest showcases in women's sport, the 16-nation Women’s Softball World Championship in Haarlem, Netherlands in August -- has the opportunity of being the first player in history to earn a medal in both the women’s softball world championship and women’s baseball world championship – and only within weeks of one another. The top two teams from Group A will face-off against the top two teams from Group B, with opening round head-to-heads (i.e., CAN vs. USA and AUS vs. JPN) carrying over into the standings. Both Japan and USA can clinch a spot in the gold medal finale with victories on Friday, while both Australia and Canada must avoid another loss to keep their world championship hopes alive. The gold medal match will be staged at 14:00 at Sun Marine Stadium on Sunday, September 7th, and will be preceded by the bronze medal match at 10:00. The contests to determine 5th - 8th place will take place at Ivy Stadium at 09:00 (7th - 8th) and 13:00 (5th - 6th). The next (VII) Women's Baseball World Cup will be celebrated in 2016 and hosted by another baseball-softball nation, South Korea, where the global women's baseball showcase will be expanded from eight to twelve participating nations.